Bend Premier Real Estate is not part of a traditional "big-box" real estate chain, but rather a proud 100% locally owned and operated independent brokerage not subject to the goals and directions of some national brand with corporate offices located in another state. Our "Premier Agents" have been carefully selected for their years of experience (avg. 14+), integrity, service, and results. And we provide our Premier Agents with the latest technology including "in-house" Matterport 3D Tours for our listings, cloud technology (yes we are paperless), custom real estate search apps, and a full-time marketing department so that you receive the very best real estate experience possible. We believe in "quality" over "quantity," so you can be confident that you will receive the greatest care and personal attention you deserve! Oregrown is a standout among cannabis brands. As Oregon’s premier farm-to-table cannabis company, the Oregrown team cultivates organic-method, indoor/outdoor cannabis and processes world-class products in the pursuit of unparalleled craftsmanship in every facet of their supply chain. Oregrown’s cultivation and extraction professionals craft several of the state’s premiere dispensary products including their own lines of Oregrown flower, extracts, and concentrates. Oregrown’s award winning flagship dispensary located in downtown Bend, Oregon, an outdoor recreation destination and tourism capital of the Pacific Northwest, has been named Best Place to Work (2017), Bend’s Best Place to Visit for First Dispensary Experience (2016), and Bend’s Best Dispensary four years in a row (2015-2018). ​In 1932, sixteen schoolteachers gathered to create a safe place to save their money and to provide low-cost loans for those looking to build a better life. Since then, our mission has remained the same – to promote the financial well-being of our members and to ensure the safety and soundness of our credit union. We look forward to building on our legacy of service and making dreams come true for many generations to come. At Bend Veterinary Clinic, Inc. the staff of this hospital has made a commitment to provide your pet with the best medical care possible. We combine integrity, compassion, dedication and a true passion for each and every animal that comes through our doors. We continue to provide progressive and conscientious veterinary care to all our patients, while nurturing the human animal bond. We pride ourselves on our many different contributions to the community and also around the globe. Provides care for 4,000 lost, abandoned, neglected and abused companion animals each year. Adopts companion animals into loving responsible homes. Provides Lost and Found reporting program. Dog Licensing and renewal site. County Cat ID tags available. Also at Redmond and Prineville shelter and county dog licensing on Wall Street. Humane Education programs to schools, organizations and at community events. Volunteer Opportunities for adults, organizations, and community service youth programs. Pet Visiting Program brings animals to Alzheimer’s and nursing home facilities. Community Service Programs for court mandated adult programs. Shelter Tours & Presentations to interested individuals and groups. Brilliance in Branding is a promotional agency and custom headwear company located in Bend, the heart of Oregon. Our organization’s established, experienced team of professionals has served the Greater Northwest region for over 25 years and today includes staff from Gen Z to Boomers. Our clients rely on BIB’s quick response to requests and proactive resolutions, as well as our consistently steady focus and commitment under pressure. Brilliance in Branding’s primary goal is to make our clients’ lives easier by providing guidance on promotional programs, while covering all the important details that help get the job done right and on time. We are a woman-owned, woman-operated company, currently seeking our formal WBE certification. Our custom headwear company Thread2Head.com is now integrated with our promotional company Brilliance in Branding. Brilliance in Branding and our team are very active in the local community. We support non-profits and charitable organizations, volunteer, serve as sponsors for a variety of venues, referee professionally with schools and local sports associations, and donate discontinued or unused goods where they can benefit people in need. Contact us today to learn how we can create Brilliant Branding for you! ​Hutch’s Bicycles started in Eugene, Oregon in 1927 by Earl Hutchinson whose nickname was Hutch. Hutch’s was originally a combined bicycle/lawnmower/key making store until the 1960’’s when Earl’s son, Bill took over and changed the name to Hutch’s Bicycle Store. In 1978, a second store was opened in nearby Springfield, Oregon. In 1981 a third store took over the Schwinn dealership in Bend, Oregon. Ownership of the Bend store was sold to then longtime Eugene employee, Jim Lewis. Jim worked hard to build the business in Bend, and in 1989 opened another Hutch’s location in Bend, on the popular west side of town. Located in Bend, Oregon. Our showroom and workshop are both located at 135 NE Norton Avenue in Bend. Call or text for an appointment to meet with us, or you can stop by. We are here a lot, but delivery's and log pickups may take us out of the shop for hours or days at a time. Bend Park & Recreation District maintains and operates more than 3,035+ acres of developed and undeveloped parkland. That includes 81 parks/open spaces and 70 miles of trail. We offer over 1,000 recreation programs for all ages and abilities throughout the area and at the Juniper Swim & Fitness Center, The Pavilion and the Bend Senior Center. We also hold several community events including the July 4th Festival & Pet Parade and Days of Play. Central Oregon's only locally-owned business telephone & Internet provider, BendTel has all the communications solutions your business needs … from Gigabit fiber optic Ethernet, to a complete range of business voice & phone system offerings. Contact us today, and find out why businesses love BendTel. The Bend Radio Group is the owner of KSJJ, KXIX, KMGX, KRXF, KICE. They hold the Arbitron rated number one station for the Bend, OR market KSJJ. Set in the heart of historic downtown Bend in Deschutes County, Oregon, the contemporary DoubleTree by Hilton Hotel Bend is just steps away from numerous recreation areas, shops, restaurants and government offices and offers incredible views of the Cascade Mountain Range. Local attractions, including the Mt. Bachelor ski area and the Les Schwab Amphitheater, are just a short distance away. Our hotel offers onsite complimentary bike rentals to registered guests at the front desk. Enjoy comfortable accommodations, modern amenities and impeccable service during your stay at this Bend, OR hotel. You’ll even be greeted with a signature DoubleTree chocolate chip cookie on arrival. 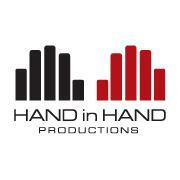 Hand in Hand Productions is a media production with a focus on building your brand through telling your story. They offer Media Production from Scripting to Completion, Event Consultation, Event Audio Visual Support, Media Duplication, & Live Event Web Streaming. PC Friendly is Oregon’s most trusted networking and Computer Consulting and Information Technologies service. We partner with companies to provide professional Remote Access, IT installation, maintenance, and repair without having to hire a full in-house IT department. We provide the same level of service to our Home users. We can also accommodate Instant after-hours Remote Access services so that your business can continue to operate uninterrupted. With over 30 years experience, we have helped users and companies of all sizes solve their computer issues. We can help you too! Become an Oktoberfest Sponsor & Help grow downtown bend!